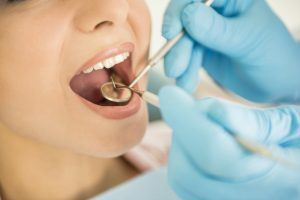 Check-up’s are imperative to your dental health. We provide routine check-ups to make sure that your dentures stay clean and healthy. Check-ups are a critical part of ensuring the longevity of your dentures. During a check-up, we are often able to catch problems before they happen. We examine your bite, check for fit, and look for signs of sore spots or other irregularities. As part of our check-up we also examine the bone and tissues.